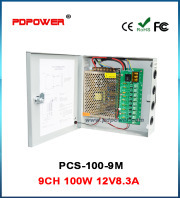 Shenzhen PDPOWER Technology Limited is a High-Tech certificate enterprise in Shenzhen, China, is one of the well-known manufacturers of switching power supply. 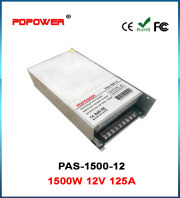 Founded in 2011, is a research and development, production, sales and service as one of the professional manufacturer of switching power supply. 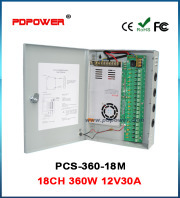 Our company has a high-quality, younger staff, the existing staff of more than and 200 people.At present, our company is focus on 3.3-48V switching power supply, centralized power supply box, high power swithing power supply and customized power supply. CCTV power supply including 4 Cameras, 6 Cameras, 9 Cameras, 12 Cameras, 16 Cameras,18 Cameras and 24 Cameras, also we can offer 3000W power supply. Monthly production capacity can reach 40 thousand units. The company headquarter is located in Shenzhen, with advanced production equipment, switching power supply automatic testing system, RoHS spectrum analyzer, EMC test system, environmental test chamber, high temperature aging room, data acquisition instrument, etc..Power supply is widely used in CCTV system, security system, industrial automation control equipment, medical equipment, communications equipment, LED lighting and military equipment and other fields. All power supply before the factory are 100% full load test. All the power supply have passed FCC certificate, CE certificate and RoHS certificate.Our power supply has been exported to Europe, North America, South America, United Kingdom, Russia, South Africa, Middle East, Southeast Asia, South Korea, Japan and other countries, and has distributors and gents in United States, Canada, United Kingdom, Italy, Dubai, Doha, Qatar, South Africa, Vietnam, Thailand, Turkey and other parts of the world, and more distributors and agents welcome.